Will Jeremy Corbyn be the next PM? There are signs that Labour are benefiting from the Tories' disarray over Brexit. But bettors aren't convinced and Jeremy Corbyn's party are still outsiders in the next election betting, says Max Liu. "Labour are [4.6] to win a majority at the next election and I think that is an excellent price. If it weren't, why would all those Tory MPs be determined to prevent an election?" Bettors still make the Conservatives [2.0] marginal favourites to win the most seats at the next general election even though polls this weekend showed Labour opening up a lead over their rivals. The chances of a general election increased on Friday, after Theresa May's withdrawal deal was reject by Parliament for a third time and the Prime Minister herself indicated that she could try to call an election. The odds on an election this year shortened to [1.86] on Friday, and currently trade at [1.99] (a 50 per cent chance). However, several Conservative MPs said this weekend that they will try to stop May from going to the country and the Fixed Term Parliament Act means two-thirds of MPs must vote for an election to be held (another route to an election would be a no confidence vote in the government in which the government would have to vote against itself to get its desired outcome). Mark Francois of the Brexiteer European Research Group was among the Conservative MPs who said they would try to prevent May from calling an election, although there are plenty of Tory Remainers who would vote against it happening too. Liquidity is starting to flow into Betfair's new market - When will the next general election take place? - and May 2019 is the [4.8] favourite. There will be council elections on 2 May, as well as European Elections which the UK is [1.32] to participate in on 23 May, and a general election could be thrown into the mix to try to resolve the Brexit impasse. Former PM John Major said on Sunday that he thought a general election in the autumn was more likely. If May leaves office this summer - bettors make her [2.22] to go in April to June - and a Tory leadership contest ensues then it's possible that the new leader will try to win a majority in Parliament in the autumn. You can get [10.5] on an October general election. Labour are [4.6] to win a majority at the next election and I think that is an excellent price. If it weren't, why would all those Tory MPs be determined to prevent an election? There were signs this weekend that the Brexit deadlock is starting to really damage the Tories; one poll gave Labour a five point lead over their rivals, although that was reduced to three points when the newly-established Change UK Party was factored into polling. On the Betfair Exchange, Jeremy Corbyn is [7.2] to be the UK's next prime minister - a longer price than next Tory leader front-runners Michael Gove [6.8] and Boris Johnson [6.4] - but it's long been this column's view that Labour can win the next general election. If May, or even her successor goes to the country, then voters will enter the ballot box knowing that another hung parliament will not solve the Brexit crisis. For that reason, they will be more inclined to vote for the party that will bring a fresh approach to Brexit. Admittedly, Labour has a way to go in convincing the public that it can do that and it has its own internal divisions. But it's still in a better position than the Tories whose splits are entrenched. If you need evidence of the depth of the fissure in the Tory party over Brexit then look at the manoeuvring that's already going on among their MPs even before the next leadership contest has begun. Bettors fancy Gove [7.0], Johnson [5.4] and Dominic Raab [11.0] for next leader, but Amber Rudd is leading a newly-formed One Nation Group within the party which is said to comprise 40 Tory MPs, from the moderate/remain wing, and which will try to prevent a Brexiteer from succeeding May. Brexit has taken British politics into unchartered territory but one thing probably remains true - at times of turmoil, the party in power suffers most. In 2010, Gordon Brown paid the price for the credit crunch, even though he made the right calls during the financial crisis of 2007/08. For the past two-and-a-half year, May has made the wrong calls in trying to manage a crisis that is entirely the product of Tory infighting. It is intensifying by the day and the spectacle this week of Tory Brexiteers backing the withdrawal deal because they thought it would accelerate May's exit - and their assent to number ten - was a new nadir. Under Corbyn, Labour are at their best when they are underestimated - by their opponents in parliament and the media, and by bettors. 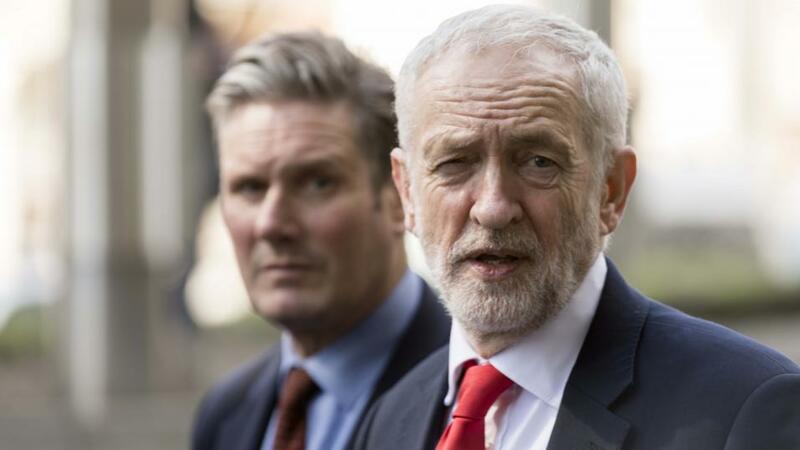 Against the odds, Labour can win the next election by hammering home the message that Brexit is a Tory problem that needs a Labour solution and by championing the kind of popular policies that were in their 2017 manifesto. Next UK General Election: Which party will emerge stronger from Brexit? Brexit Latest: Which options will emerge from mega-ballot?